A satellite that burnt in the atmosphere could have been the source of the radioactive isotope ruthenium-106, whose traces were registered in Russia and some European countries, according to the materials of a probe into the incident released on Friday. “The source could be attributed, among other things, to the burning in the atmosphere of an artificial satellite or its fragment, on the board of which there was a source of ruthenium-106 with high total activity,” says the document released by the inter-departmental commission probing the discharge of the radioactive isotope into the atmosphere. Germany’s Federal Office for Radiation Protection (BfS) earlier reported about an increased concentration of ruthenium-106 in the air from September 29 to October 3. The BfS noted that the ruthenium concentration was very inconsiderable and posed no danger for the health of people. 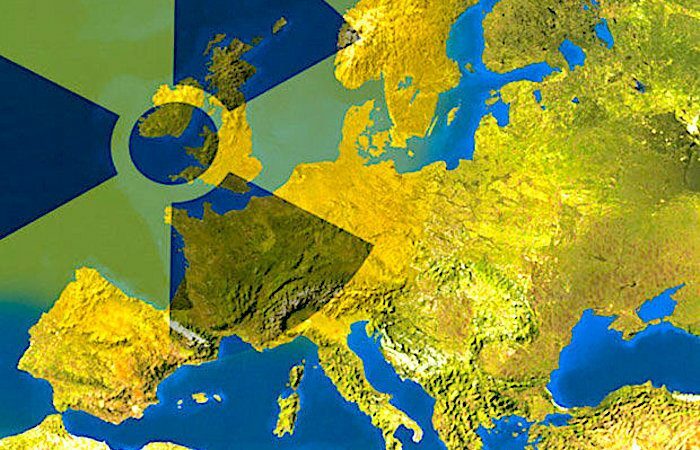 German specialists also said they were confident that no nuclear power accident could have been the cause for the increased concentration of ruthenium-106. Later, the BfS reported that a discharge at one of enterprises in the south Urals could have been the source of the isotope. Russia’s Federal Service for Hydrometeorology and Environmental Monitoring (Rosgidromet) earlier reported about excessive ruthenium isotope levels in the samples collected from the observation posts of Argayash and Novogorny in the Chelyabinsk Region. Ruthenium-106 is used, in particular, in radiation therapy and can also be released in nuclear fuel reprocessing. Russia’s civil nuclear power corporation Rosatom earlier reported that no traces of ruthenium-106 were detected in the air samples taken on the territory of Russia, except for the only measuring station located in St. Petersburg. Rosatom said Russian nuclear power facilities could not be considered as the source of the isotope’s discharge. Rosatom cited the data of the International Atomic Energy Agency (IAEA), pursuant to which the ruthenium-106 concentration reached 145,000 microbecquerels per cubic meter in Romania, 54,300 microbecquerels per cubic meter in Italy, 40,000 and 37,000 microbecquerels per cubic meter in Ukraine and Slovenia, respectively, over that period.